The term “Artificial Intelligence” was coined by American cognitive scientist John McCarthy back in 1955, initiating the whole discussion on simulated cognitive processes in machines. After the Dartmouth conference of 1956, AI became a legitimate new field of knowledge, sparking interest of intellectuals all over the world — it quickly gained its advocates (scientists John McCarty, Marvin Minsky, Allen Newell among others) and naysayers (philosopher John Searle and his famous “Chinese Room” thought experiment). Yet outside of these learned circles, the general public for years to come associated AI more with science fiction than actual science — and movies like Stanley Kubrick’s “2001: Space Odyssey”, with its inscrutable and menacing AI antagonist HAL9000 helped cement this notion. Customer Service. Millennial customers value direct communication and quick replies. Small companies and startups like Zichain have been able to provide this through extensive social media presence, but large multinationals with outsourced call centers have been struggling to provide an adequate solution. Enter chat bots — an AI-based solution that has taken the banking industry by storm — and long telephone calls to ask a simple question are already a thing of the past. We believe this trend will continue as advances in AI and machine learning will allow chat bots to answer ever more complicated queries, potentially making the idea of a call center redundant in the course of the next decade. Market Analysis Tools. An AI-powered market analysis tool could also prioritize news and metrics relevant for your portfolio, making sure you never miss an important event or market signal. 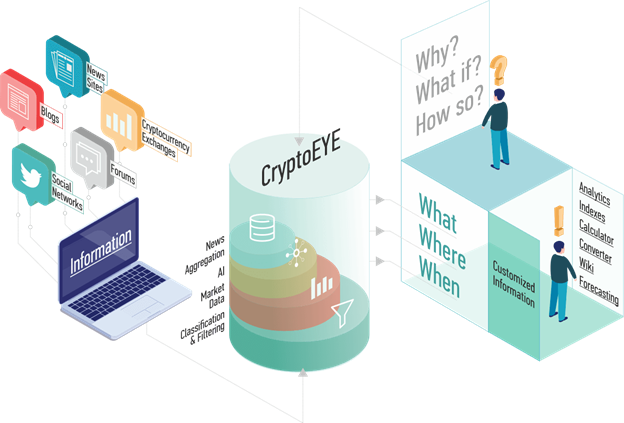 As futuristic as it sounds, this technology is already being integrated into our analytical platform — CryptoEYE, that would allow you to create your personal customized news feed highly pertinent to your portfolio. Asset Management. The asset management industry is poised to gain the most from current technological advances, as a number of its internal processes can be optimized with AI and blockchain technology — for example, portfolio rebalancing and risk management. This was the reasoning behind BAMP — Zichain’s innovative Blockchain Asset Management Platform. 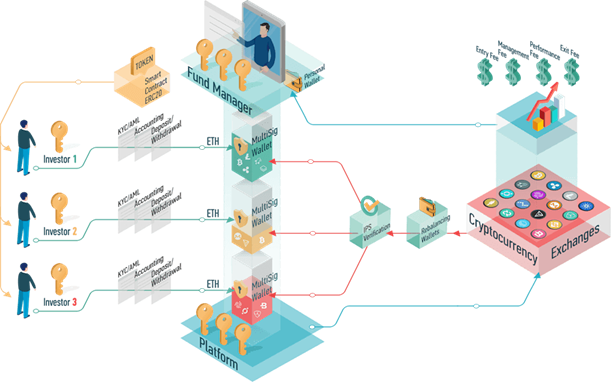 Funds using our turnkey solution will be able to spend less time on back office routine, instead allocating resources for development of trading strategy and portfolio management. Trading algorithms. 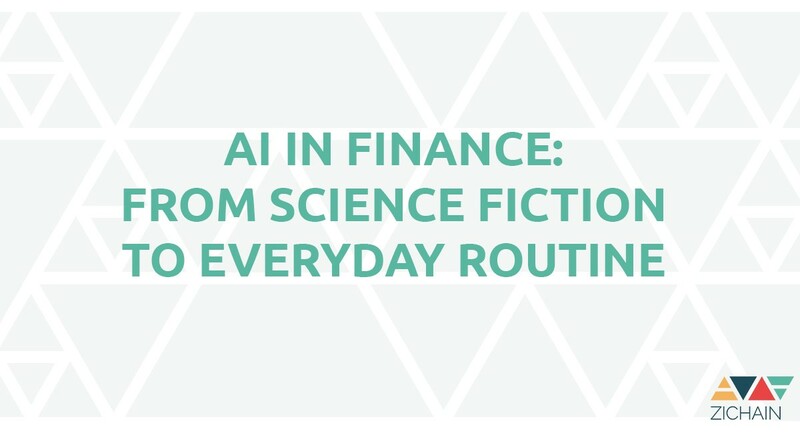 Financial markets today are operating at unprecedented speed and as a result, trading algorithms, often powered by AI, are becoming an important factor for successful order execution. And we are not talking exclusively about HFT (high-frequency trading) funds. Every broker and investment fund worth their salt needs trading algorithms — for example, to minimize slippage when executing a large order in a volatile market environment. In the case of cryptocurrencies, this is especially important because funds often need to execute orders on several exchanges at once. Zichain’s licensed broker, ZiChange, is integrated with our proprietary trading platform and boasts a range of algorithmic solutions for efficient execution of your trading strategy. We believe Artificial Intelligence will continue to evolve, creating new possible applications for it across the financial industry. Companies like Zichain, capable of multi-vector development and a deep understanding of both technology and financial markets, will be able to convert the power of AI into working solutions for our clients.